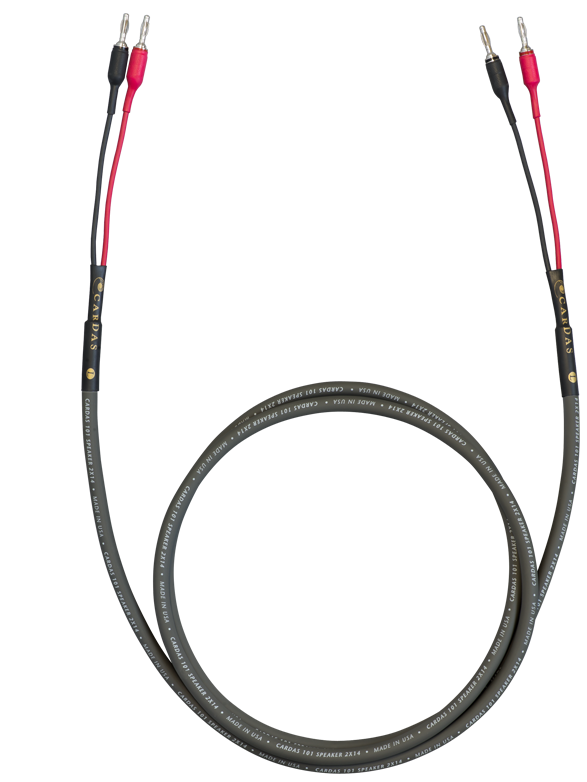 101 Speaker features two 14 AWG bare copper Cardas conductors, each built around a small air-tube, providing performance beyond its gauge. Since it uses bare-copper, 101 is easy to work with - no solder pot is needed. 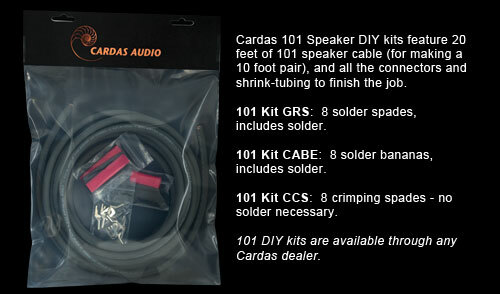 101 can be used with crimped or soldered connectors, or just strip-and-twist to use with 5-way binding posts. A Cardas dealer can prepare a pair of 101 for you, or sell 101 bulk right off the spool, to be prepared by the end-user at home. Thanks to its Golden Ratio scaled, Cardas Crossfield conductors and dielectrics that include air-tubes, PFA, and 100% natural cotton, 101 Speaker is smooth and non-fatiguing - perfect for entry to mid-level systems that often have a bit of a harsh edge, especially with digital source material. 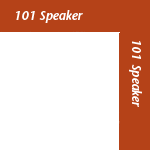 101 Speaker’s price makes multiple runs possible, which makes it great for use with multi-channel AV systems. 101 is available with factory terminations (shown with bananas on left), or in bulk for DIY users. 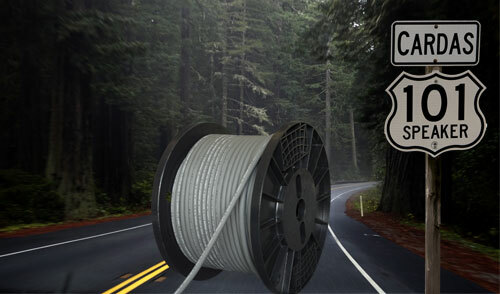 Several kits are available, each containing 20 feet of 101, along with connectors & shrink. For a crimping spade to use with 101 Speaker, please see our all new CCS spade.